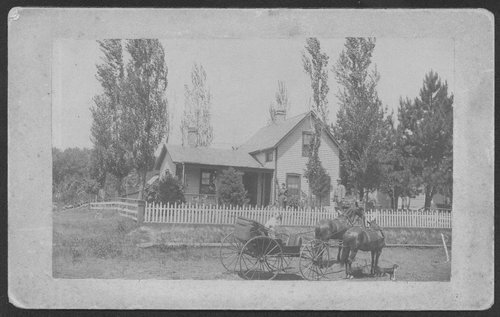 A photograph showing Dr. and Mrs. Millard F. Marks standing in front of their residence. Visible is his carriage and team parked on the street. In addition to his medical practice, he was a Populist and served as a member of the 1897-1899 Kansas House of Representatives from District 5.